Eclipse Select Soccer Club midfielder Alia Martin (Carmel, Ind.) has been called up to the U.S. U-18 Women’s National Team for a Dec. 7-14 camp taking place at the U.S. Olympic Training Center in Chula Vista, Calif. This group consists of 24 players who were born in 1998 and will potentially make up the group that will take part in qualifying for the 2018 FIFA U-20 Women’s World Cup. The camp will be led by U.S. Soccer Women’s Technical Director April Heinrichs. 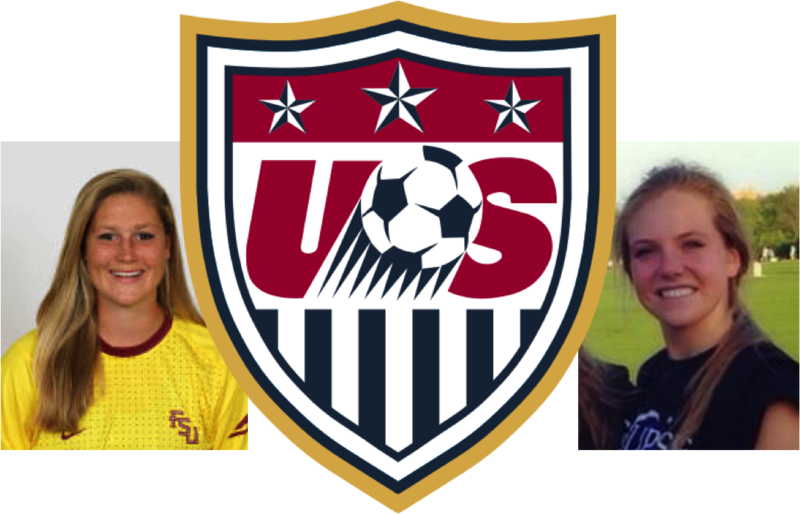 Former Eclipse Select goalkeeper Caroline Brockmeier (Tallahassee, Fla.) is one of 16 players taking part in a four-day Women’s Youth National Team Goalkeeper Camp from Dec. 14-17 in Chula Vista. Brockmeier was part of the Eclipse Select U-17 team’s 2013-14 ECNL national runner-up group. She then moved on to the collegiate ranks at Florida State, which has reached its fourth consecutive NCAA College Cup and eighth appearance overall in the semifinal stage of the tournament.